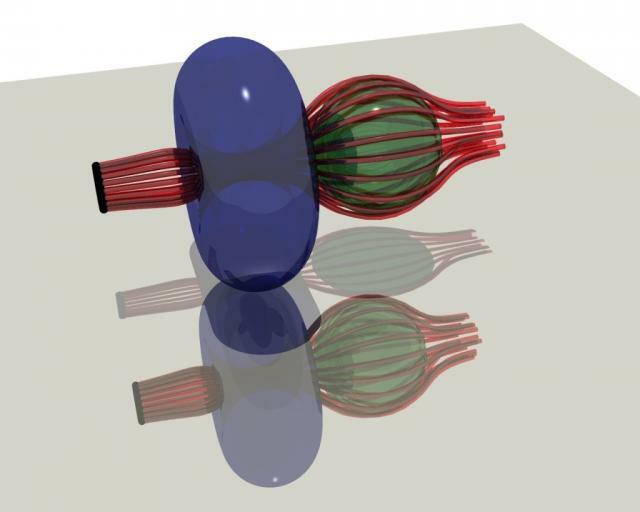 Simulation visualization is often used in marketing material to highlight innovative, state-of-the-art product design. Yet rarely are the visuals innovative or state-of-the-art. Limited visualization features in most Computer-Aided Engineering (CAE) software systems prevent stunning visuals making it into marketing brochures. Dedicated post-processing systems can provide the visuals marketers crave, but at a cost (time to learn and price) that prevents wide adoption. Typically marketing visuals are provided by engineers without marketing flair - with a few notable exceptions - because of their familiarity with CAE and their persistence where marketers fear to tread. Caedium matches these requirements with interest to spare. 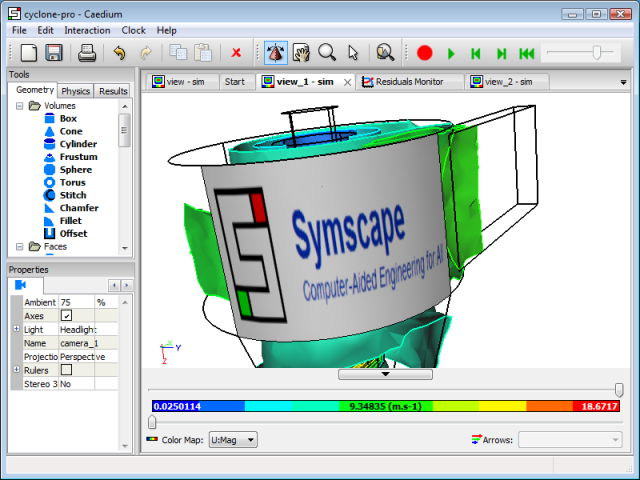 Caedium's unified simulation environment provides easy access to standard visualization techniques such as contours, vectors, iso-surfaces and streamlines. Our geometry-based philosophy is intuitive and easy-to-learn. New geometry, to aid visualization, can easily be added to any scene. Imported images can be used as scene backgrounds and also texture mapped onto surface geometry. Branding the geometry with a company logo or unique color scheme would make a marketer's day, priceless. What is a scene without lights? Dark, colorless and lifeless. So Caedium supports a variety of light types. Of course lights are nothing without shadows and reflections, which leads into photo-realistic rendering. There are excellent, freely available renderers (e.g. POV-Ray, Aqsis) that support shadows, surface textures, reflections etc., for exquisite image creation at high resolutions - even poster size. The Caedium Viz Export add-on exports files for POV-Ray and Renderman (Aqsis being a free Renderman renderer) for exceptional visuals. Caedium and its add-ons provide all the tools necessary to make visuals that are innovative and state-of-the-art – a marketer's dream!